I am a follower of Jesus, the one true Rock on which we can stand. I am a administrative assistant and a lover of history. I am blessed with a wife, a daughter, and a son. I do not take for granted that it is a gracious gift from God that I was born in a first-world country and allowed an education and thus the ability to read. And with that I have been granted access to many things to read and learn from and enjoy. Although we have countless ways to be entertained and informed, the fact that God gives us his revelation through words should not be lost on us. Reading matters. As I have grown older, I have learned to appreciate reading more. When I was a child, my mother gave me the wonderful gift of reading to me. She read stories from the Ken Taylor Storybook Bible each night before we went to bed. She would let us pick out which story we’d read — my brother and me — and then she’d ask questions after each reading. It’s a sweet memory. It was my first taste of the wonders of books. To be honest, I am not a huge reader, by volume or pace. I read slowly and am easily distracted. So, for me, to read is an act of discipline and a labor of love. I have to consciously set aside time and then resist the temptation to turn my attention other places. But the reward is great enough that I turn to it again and again. What do books do for you that you can’t get from a movie or television? They teach you patience and persistence. Is that a good thing? Yes. Reading also teaches you to trust the author. What looks troubling on page 20 can be resolved on page 459. Why not resolve it on page 20? or page 1? you ask. Why waste the reader’s time? You don’t because there is much to learn in the pages between that you would be the lesser for if you didn’t read them. What you become — as a reader of the story — by page 459 you wouldn’t have attained at page 1. That is a gift of the author. Life works more like books than movies or TV. I am better for having read books. And the patience borne of being a reader teaches you to look at life in the same way. What we are given by God are not everything we want to know, when we want to know it. There are mysteries that come dribbling to us, bit by bit. There are threads in our story that are also threads in a larger story that only the Author has determined. We are just a part of the bigger story. Is that fair? Fair to whom? We have been given a role in the Story and our every move has been considered and plotted. It is for our good. So, this new year, if you haven’t already resolved — or considered — to read more you certainly should. And while you’re at it, read more from what the Author Himself has revealed to us. To know Him more is to love Him. I am a deliberate person by nature. I have often told my wife, my family, that I am a unitasker — that is, I do one thing at a time. I always thought this was a character flaw, but only recently I’ve discovered it’s really how we all are. I’ve been slowly reading through Matt Perman’s great book What’s Best Next: How The Gospel Transforms The Way You Get Things Done. What I’ve learned is that being a multitasker is not ideal because you end up doing everything just a little less than your best. 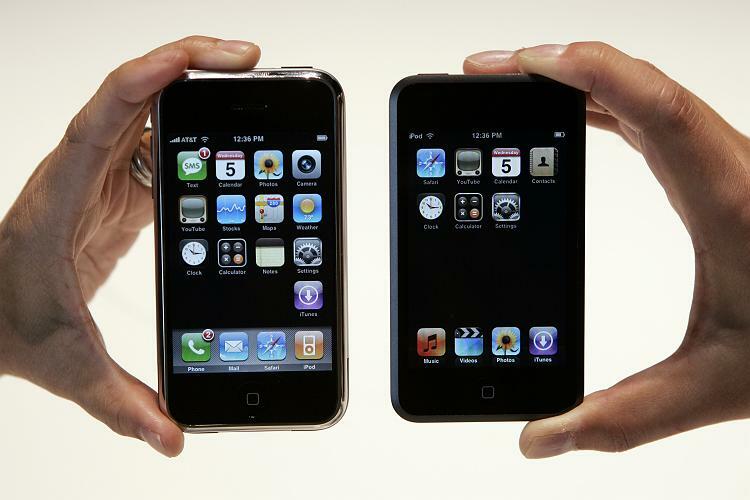 What we think of as being more efficient has the opposite effect — we become less so. In fact, Perman says, the only one who’s truly a multitasker is God. He does all things well, all at the same time. What we need to do, rather than a bunch of things at the same time, is do what we need to do well. This is not only better but more glorifying to God. In light of that, I’ve been thinking of my own way of doing things. As I’ve said, I’m deliberate but that doesn’t mean I’ve been as efficient as I could be. What I’ve come to see is that I need to take a look at the bigger picture — my goals, my motivations, my purposes — and see where I’m headed and where I want to go. This isn’t just a worldly ideal, it’s a spiritual consideration as well. God does not want us to do less than our best. That certainly doesn’t bring him glory when we are careless or lazy about how we live our lives. So, before I plunge into another new year I’ve been taking stock of where I am and the habits I’ve formed. I am looking at my purposes and motivations. What are my goals? Are they what they should be, in light of what God desires me to be? God is gracious and he is able to continually work in us his will. It is a good thing to stop and think about where I am headed. John Piper talks about drifting leaves that do a great deal of moving but accomplish nothing. God did not create us to be aimless, but to live with a purpose. If there is a advantage of a calendar it’s that it gives us the opportunity to take stock of our situations on a regular basis and, hopefully, make corrections to our course. God willing, that is my plan for 2016. I encourage you to take advantage of the opportunity as well. This is the John Brown University Cathedral Choir singing at St. Mark’s Dundela in Belfast, Northern Ireland, during their May 2014 missions tour. I was greatly pleased that my daughter had the opportunity to be a part of this group. Big Government. Big Oil. Big Brother. This morning I even heard a story on the news about Big Whiskey (wasn’t that the setting in “Unforgiven”?). There is this distrust of anything or anyone big. Why? Maybe it’s because of the fear that anything or anyone too big won’t play by the rules. The thinkings is that the Big Guy ignores the rules and overpowers the Little Guy — you and me. But what if the Big Guy makes the rules? Then what? Anyone who takes a moment to look at the world around them soon will realize that there is much that goes out of control. War. Weather. Relationships. But ultimate control rests in God’s hands, who created this world. The less we choose to believe this, the greater our distress in what looks like chaos in this world. That is a battle I fight every day. A favorite passage of mine is I Peter 5:6-7, where it says “Humble yourselves, therefore, under the mighty hand of God so that at the proper time he may exalt you, casting all your anxieties on Him, for he cares for you.” Just prior to that, it says that God opposes the proud but gives grace to the humble. So, my battle is to be humble and trust the “mighty hand of God” — that is, the God who does spectacular things for his people. So, the battle is to trust the ultimate Big Guy who makes the rules and does more than I could possibly do. And part of that battle is to not make myself the Big Guy, because I don’t have the authority or the power to run the world, even my own little one. Wesley Hill has written an insightful essay at The Gospel Coalition’s blog called “With God, It Gets Much Better” as a response to the new campaign to reach out to LBGTQ kids called “It Gets Better.” The campaign looks to encourage those in this group who have been abused verbally and physically. What I ended up discovering instead was a community of Christians who told me the story of the gospel and, energized by its hope, reached out to me in love. My Christian friends told me that God is a good creator, explaining that he made humanity male and female and designed marriage, a covenant union between one man and one woman, as the place for human sexual desire to flourish (see Genesis 2:20-25 read together with Matthew 19:4-5). But they also described creation’s subsequent fall into sin and death. The biblical narrative of an originally pristine world gone horribly awry on account of human rebellion made sense of the fact that, through no conscious choice of my own, as an inheritor of Adam’s sin, I found myself experiencing desires for what seemed, in Christian terms, to be the wrong objects (see Romans 1:24-27). East of Eden, even our bodies are in need of redemption, my friends pointed out (see Romans 8:23). Above all, the Christians I got to know pointed me to Jesus. Single, celibate, with no place to lay his head, Jesus understood my feeling of being broken and the loneliness that came with it. More than that, he died and was raised to secure for me eternal life with his Father in their Spirit—a life in which all bullying, sadness, and self-harm have no place. Trusting in him, I could count on God to see me not as a damnable failure but as an adopted son, a fellow heir with Jesus, a justified sinner. And I could look forward to a bodily resurrection patterned after Jesus’ own. The Christians I got to know committed themselves, through the unity secured by the Holy Spirit rather than through biological ties, to being my family if I never experienced marriage firsthand. They invited me into their homes, took me on vacation with them, and encouraged me to consider myself an older sibling to their children. And they recruited me to join them in causes of hospitality, in making room for bullied kids—and bullies—at our dinner tables. Such a message, surely, is more powerful than an optimistic forecast of a future in which love and acceptance may be found—but also, perhaps, may not. The Christian gospel heralds a God who does not leave us to our sinful desires, our broken selves and sexualities. It is Christmas season. While we may lament the encroachment of a hectic, rushed season that seems to come earlier and earlier, let us not forget that it is a time to be joyous for what those who believe. If we have been made a new creation through Jesus Christ, then we are to actively seek good for those around us, for His sake. I’ve just become aware of Advent Conspiracy, which is a way of putting Ephesians 2:10 into practice during this wonderful time of year. If we really believe that we are not to be conformed to the image of this world, then we need to rethink how we celebrate Christmas. The idea that we spend less and worship fully is something we can all do well to put into practice. There’s plenty to love about Twitter, and the wisdom of people like Tim Keller is one example. The real gospel gives us a God far more holy than a moralist can bear and far more loving than a relativist can imagine. I’ve been meaning to share this for some time because it’s been a great help to me. Did you know that you can go online and find several of John Piper’s books for free to read online (or download and read later)? It’s true. Desiring God, which is a great ministry seeking to “spread a passion for the supremacy of God in all things for the joy of all peoples through Jesus Christ,” offers the books. You can find them here. New books are being added all the time, and often there are books in languages other than English if you want to use them to minister in that way. One of the ways I use them is I read them online and then bookmark that link so I can go back to them in a web browser without having to go to the home page first. Thank you, John Piper, for the many inspiring, encouraging, challenging, informative books you have written. And thank you, too, Desiring God for making them available. While you can still download the ESV Bible app for free, Crossway has now announced that you can get the ESV Bible + app (the ESV Study Bible) for iPad and iPhone (and iPod Touch). For the next 48 hours, you can get the ESV Bible + app for $9.99, after which it will be at the introductory rate of $12.99 until Aug. 7. After that it will go for $14.99. 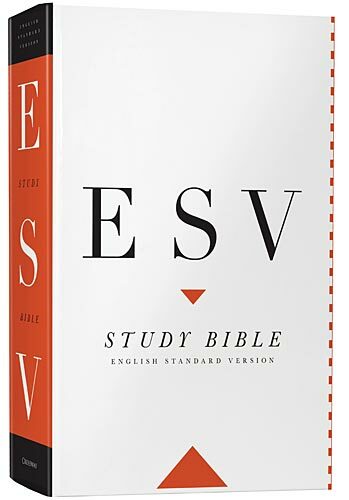 While that may seem like a steep price for something you can get for free (the ESV Bible app), you have to remember that the print version of the ESV Study Bible goes for $49.99. The ESV Study Bible is an amazing resource and to be able to carry that around with you in your pocket it amazing.